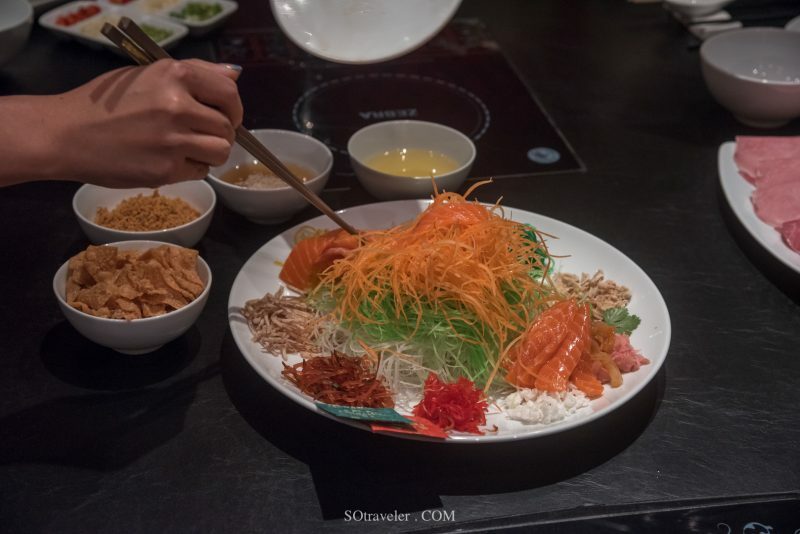 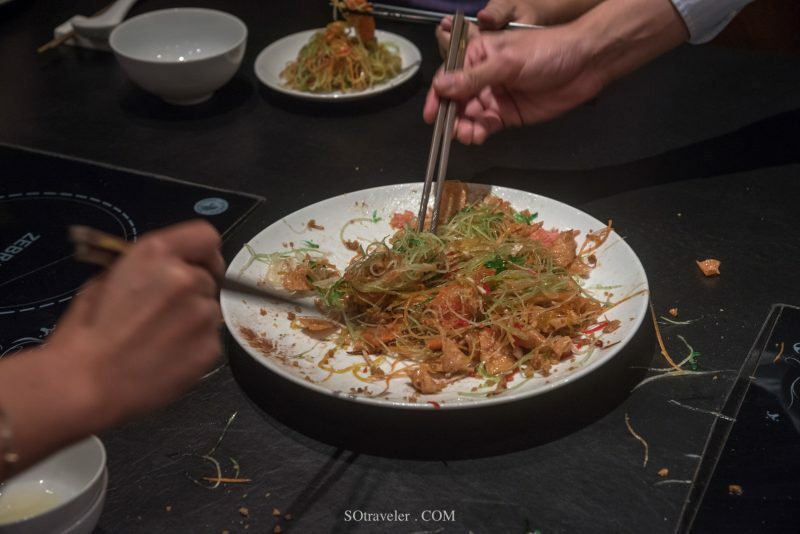 2nd Step: Say Nian Nian You Yu 年年有馀 (to have a surplus every year) when placing Yu Sheng 鱼生 onto the shredded carrot. 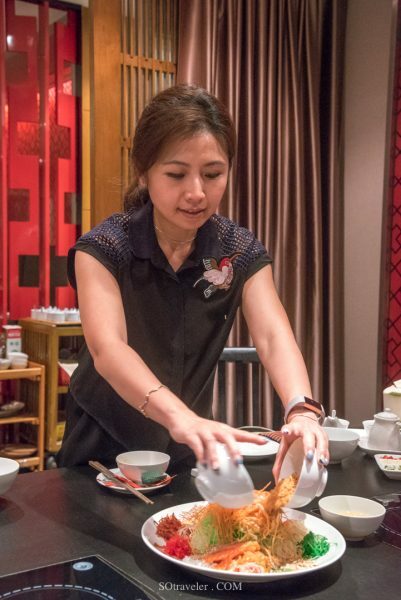 3rd step: Say Da Ji Da Li 大吉大利 (to be very auspicious) when adding pepper and cinnamon powder. 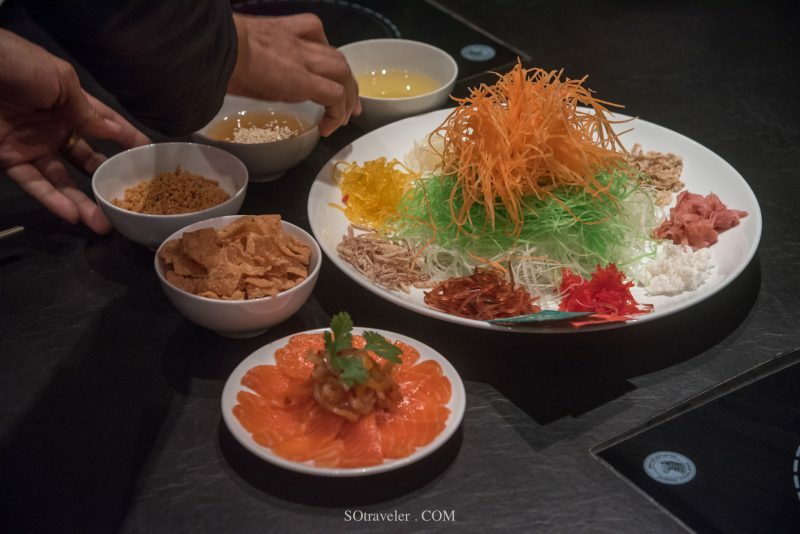 4th step: Say Wan Shi Ru Yi 万事如意 (to be smooth sailing) when adding golden cooking oil and sauces to the Yu Sheng 鱼生 . 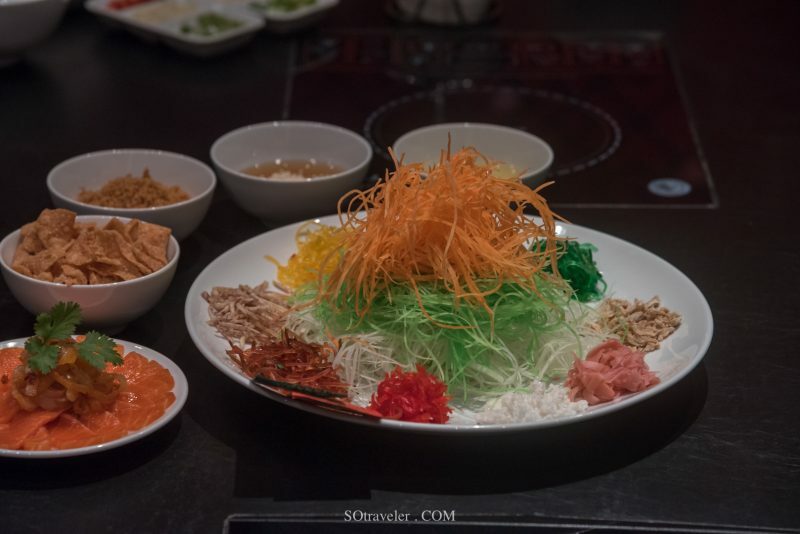 5th step: Say Jin Yin Man Tang 金银满堂 (to obtain abundant wealth) when sprinkling the golden crackers. 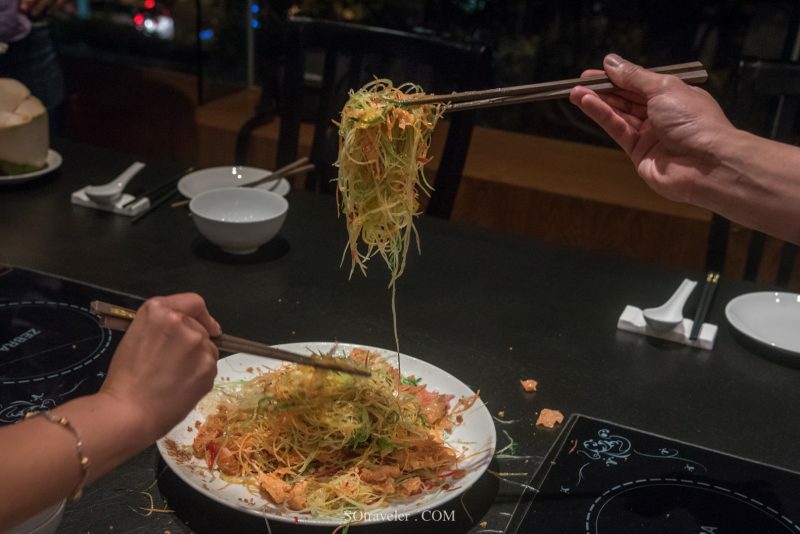 6th step: Say Tian Tian Mi Mi 甜甜蜜蜜 (sweetness overflow) when adding the thin sweet sauce.